Access the Delphi Options from the Tools Menu | Options | Compilers category and then choose the Embarcadero Delphi item. 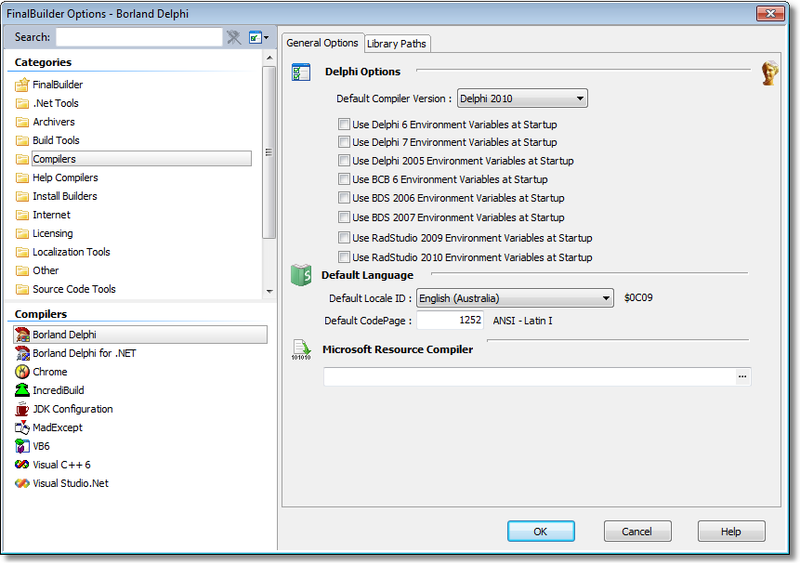 Choose the default Delphi compiler version to use in new Delphi Compiler actions, as well as set the default state of using certain environment variables at startup. Choose the default Locale and CodePage to apply to new Delphi Compiler actions added to your project. Enter the location of the Microsoft Resource Compiler (rc.exe). The Microsoft resource compiler can be used instead of the Embarcadero provided one.